3 Bedroom Semi Detached House For Sale in Whitby for Asking Price £188,450. 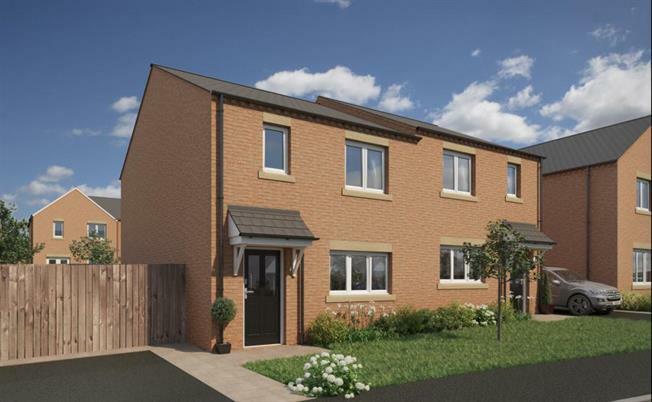 3 bedroom Kilkdale homes are now available from 188,450. We expect a lot of interest so for details call into our selling agents Bridgfords or call them on 01947 603 433. We want the people who live in our homes to love them. We offer a great choice of styles and buying options in what is set to be a much sought-after location just a stones throw from Whitby town centre and all of its seaside attractions. With options of shared ownership and Help to Buy whats not to love? Yorkshire coastline and the fresh open fields of the countryside this vibrant new development on the outskirts of Whitby truly offers the best of both worlds. Developed by Thirteen, one of the best-known names in North East housing, and sold by award winning agents Bridgfords, Chancel Meadows will offer a range of quality two, three and four bedroom homes to suit everybodys needs. money with a quality specification as standard. Each home we build is constructed with care by a dedicated team. spacious accommodation over two floors, this superb house features generous living spaces with two double and one single bedroom over two floors and with an NHBC 10 year Buildmark warranty. Every home at Chancel Meadows comes with a quality specification as standard, meaning youve got everything you need to feel comfortable. outdoor activities. With miles of sandy beach a short walk away, you can simply pack a picnic and spend a day at the seaside, or take in the atmospheric streets of the town centre enjoying the world famous Whitby Abbey and its 199 steps. centres, a medical centre, pharmacy, dental practice, petrol stations, vets and supermarkets. All computer generated images have been prepared for illustrative purposes and are indicative only, they do not form any part of any contract, or constitute a representation or warranty. The company reserves the right to make amendments to the development layout and materials at any time. Furniture and soft furnishings are not included. Home specification can vary and images shown may include upgraded features. Help to Buy scheme available on selected plots only, subject to terms and conditions. YOUR HOME IS AT RISK IF YOU DO NOT KEEP UP REPAYMENTS ON YOUR MORTGAGE OR ANY OTHER LOAN SECURED ON IT. Full terms and conditions available on request.